Traits of Writing poster series. 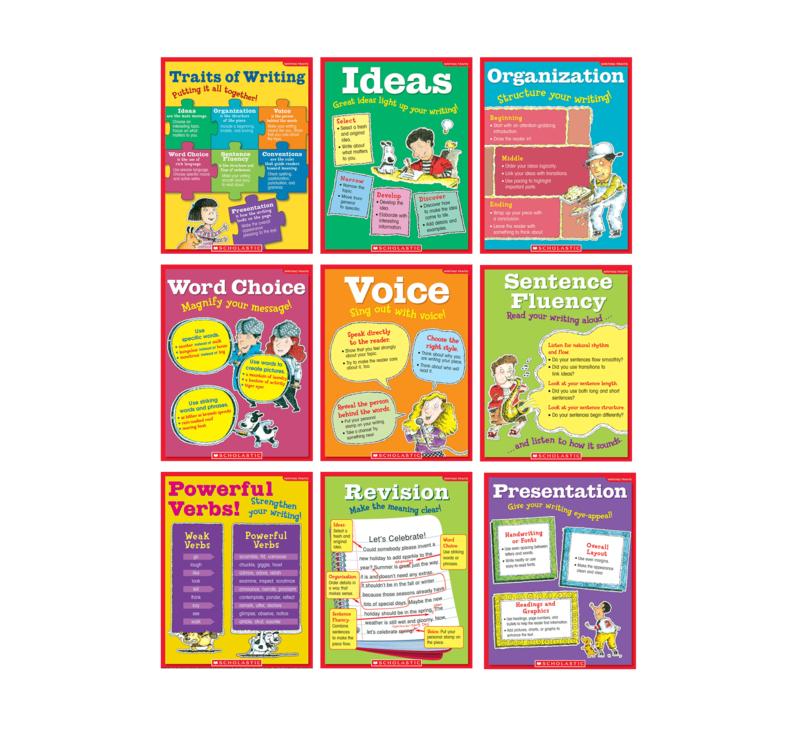 Set of 9 wall posters help students improve their writing using the six traits of writing—ideas, organization, voice, word choice, sentence fluency, and convention. We created this set of 9 engaging poster for classroom use. This is part of the Trait Crate set by Ruth Culham and Scholastic.